This record is at the top of most of the top 10 lists I’ve seen on the blogs this year and it is certainly at the top of many of my friends’ lists as well. Neon Bible is a great record and Arcade Fire is a great band. My greatest musical regret of 2007 was missing the Arcade Fire shows at Judson Church at NYU this winter and their show at Radio City this spring. I also missed them at Randalls Island this fall. So I missed them three times this year. Maybe if I had seen them live, something I’ve been told is a transformative experience, this record would have been number one on my list as well. Seeing a band live often takes me back to a record for another run. Unfortunately, this record’s run lasted until the spring for me and then it petered away. Not true for any of the top five on my list. 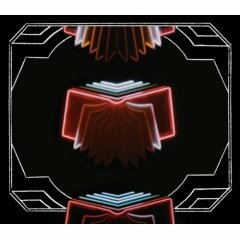 I’d be remiss if I didn’t say that Neon Bible is missing the intensity of Funeral, Arcade Fire’s amazing debut record. There’s nothing on this record that can touch the ferocity of Rebellion, for example. Arcade Fire is headed into U2 territory, not Modest Mouse or Pixies territory. That’s good for them and their pocketbooks. But maybe not for my love of their music. 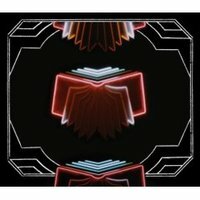 All that said, Neon Bible is a great record and deserves to be at the top of many best of 2007 lists. Just not mine.